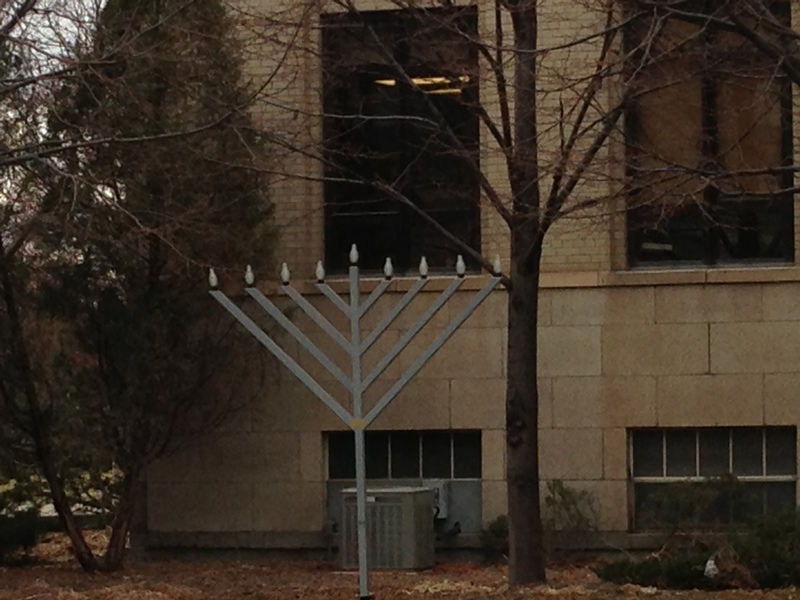 The Civic Center Chanukiah is Up! The first of our nightly lightings of the Diane Kaplan Memorial Civic Center Menorah will be 5:30 pm on Saturday, December 8. See you there! Posted on November 30, 2012, in Uncategorized. Bookmark the permalink. 2 Comments. May calendar says that the first night of Chanukah is Saturday is December 8, (not the 7th) So I am planning to be at the Civic Center on Saturday Dec 8 at 5:30. We will be bringing donuts for everyone! The first night is the EIGHTH. The post was corrected this weekend. My apologies for the error.